I've been making and selling beaded jewelry for over 20 years. It's something I enjoy doing. It's very relaxing to work with beads and I'm always amazed at what my creativity produces. 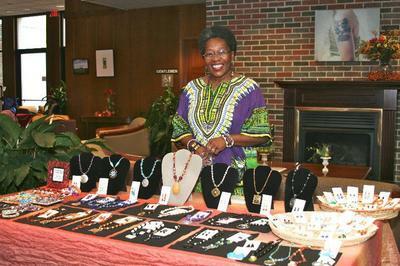 I also enjoy the business aspect of selling my jewelry. I love vending at local fairs, festivals and markets. Its so rewarding to meet interesting people, receive compliments and make money from doing something I love. One of my dreams for a while has been to sell my jewelry on the internet. For years I've been talking about it; but always procrastinating and coming up with excuses as to why I couldn't do it. After learning about this website and reading motivating articles and encouragment from Art Thomas; I've decided this is the year I will develop my website. So please stay tuned and as I told Art "Watch and see what I do!"